Michael Cohen, President Donald Trump's former personal lawyer and fixer, intends to tell the House Oversight Committee today that President Donald Trump is "a racist," "a conman" and "a cheat." Cohen, according to a copy of his intended remarks obtained by ABC News, also plans to divulge that Trump, as a candidate, knew Roger Stone was talking with Julian Assange about WikiLeaks' revealing of emails from the Democratic National Committee. The comments obtained by ABC News and media outlets including The New York Times could very well change during today's testimony. 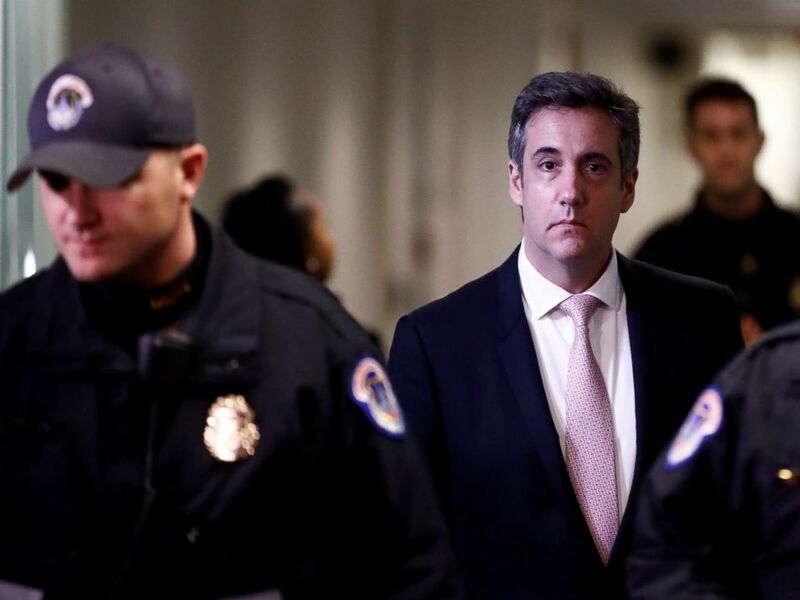 Former Trump personal attorney Michael Cohen departs after testifying behind closed doors before the Senate Intelligence Committee on Capitol Hill, Feb. 26, 2019. "I am ashamed of my own failings, and I publicly accepted responsibility for them by pleading guilty in the Southern District of New York," Cohen writes in his intended remarks. "I am ashamed of my weakness and misplaced loyalty -- of the things I did for Mr. Trump in an effort to protect and promote him. "I am ashamed that I chose to take part in concealing Mr. Trump's illicit acts rather than listening to my own conscience. I am ashamed because I know what Mr. Trump is. He is a racist. He is a conman. He is a cheat." According to the copy of Cohen's prepared remarks, he'll be presenting evidence including: a copy of a check Trump allegedly wrote, after taking office, to reimburse Cohen for hush-money paid to an adult-film star; copies of letters written by Cohen threatening Trump's high school, colleges and the College Board not to release his grades or SAT scores; and copies of financial statements from 2011 to 2013. Cohen plans to show an image of a March 2017 check, obtained by ABC News, he claims was signed by Donald Trump Jr. and Trump Organization CFO Allen Weisselberg on the elder Donald Trump’s trust account in his House testimony, sources close to Cohen say. Michael Cohen plans to show this check he claims was signed by Donald Trump Jr. and Trump Organization CFO Allen Weisselberg on the elder Donald Trump’s trust account in his House testimony, sources close to Cohen say. "Questions have been raised about whether I know of direct evidence that Mr. Trump or his campaign colluded with Russia. I do not. I want to be clear," Cohen's prepared remarks state. "But, I have my suspicions." Cohen's statement also includes an apology to lawmakers. "I want to apologize to each of you and to Congress as a whole," the intended remarks state. "The last time I appeared before Congress, I came to protect Mr. Trump. Today, I'm here to tell the truth about Mr. Trump. I lied to Congress about when Mr. Trump stopped negotiating the Moscow Tower project in Russia. I stated that we stopped negotiating in January 2016. That was false -- our negotiations continued for months later during the campaign." Cohen's statement goes on to say, "Mr. Trump did not directly tell me to lie to Congress. That's not how he operates. In conversations we had during the campaign, at the same time I was actively negotiating in Russia for him, he would look me in the eye and tell me there's no business in Russia and then go out and lie to the American people by saying the same thing. In his way, he was telling me to lie." He lied about it because he never expected to win the election. At least a half dozen times between January 2016 and the end of June, Cohen's remarks state, Trump asked Cohen about the project in Moscow. 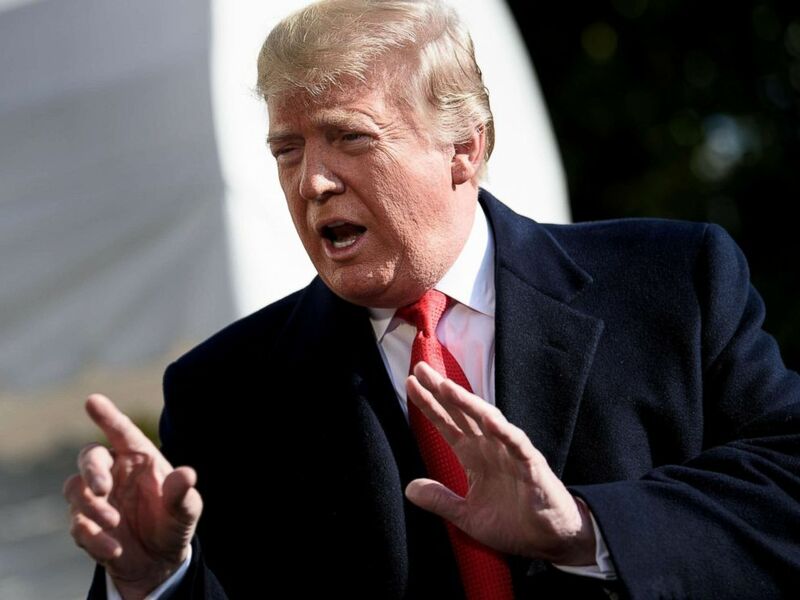 President Donald Trump speaks to reporters before walking to Marine One on the South Lawn of the White House, Nov. 29, 2018. Trump said ex-lawyer Michael Cohen was 'lying' over a guilty plea for reduced sentence. "To be clear: Mr. Trump knew of and directed the Trump Moscow negotiations throughout the campaign and lied about it. He lied about it because he never expected to win the election. He also lied about it because he stood to make hundreds of millions of dollars on the Moscow real estate project. "And so I lied about it, too -- because Mr. Trump had made clear to me, through his personal statements to me that we both knew were false and through his lies to the country, that he wanted me to lie. And he made it clear to me because his personal attorneys reviewed my statement before I gave it to Congress." Sarah Sanders, the White House press secretary, said in statement on Tuesday: "Disgraced felon Michael Cohen is going to prison for lying to Congress and making other false statements. Sadly, he will go before Congress this week and we can expect more of the same. It's laughable that anyone would take a convicted liar like Cohen at his word, and pathetic to see him given yet another opportunity to spread his lies." Cohen in December was sentenced to three years in prison for crimes including lying to Congress. Judge William Pauley said at the time that "Cohen pled guilty to a veritable smorgasbord of fraudulent conduct" and "lost his moral compass." Cohen also was ordered to pay $1.39 million in restitution, forfeit $500,000 tied to financial crimes and pay $50,000 for lying to Congress. He was disbarred in New York on Tuesday. Michael Cohen was one of many lawyers who represented me (unfortunately). He had other clients also. He was just disbarred by the State Supreme Court for lying & fraud. He did bad things unrelated to Trump. He is lying in order to reduce his prison time. Using Crooked's lawyer!